Frequent visitor to Downtown? 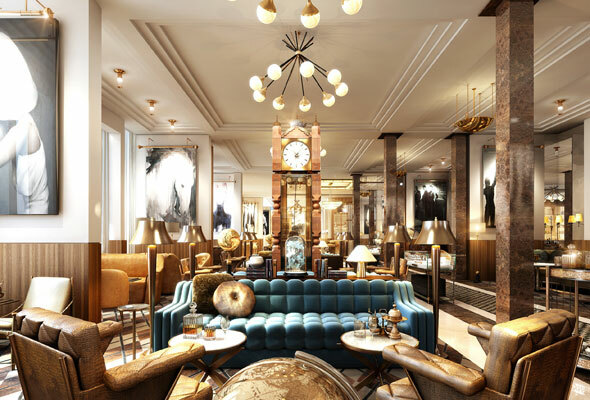 Well get excited, as a second serving of the swanky Waldorf Astoria hotel brand is set to open its doors in Dubai this spring – and it’s coming to DIFC. Located in Burj Daman, the 275-room Waldorf Astoria DIFC will open its doors in April 2019. Inspired by the glamour of 1960’s New York, Waldorf Astoria DIFC promises ‘a sophisticated, cutting-edge, urban retreat’, complete with three dining options. The hotel’s signature dining restaurant, Bull and Bear, will serve up international cuisine, while the brand’s signature Peacock Alley lounge will also arrive in DIFC. We’re most excited by St. Trop, a rooftop lounge that’s set to wow visitors with its stunning rooftop views. We can’t wait for sundowners there. The hotel will be complimented by a spa and fitness centre, ballroom and library, as well as providing plenty of meeting spaces and rooms to serve the local DIFC area. Waldorf Astoria DIFC is the latest in a string of soon-to-open new hotels in Dubai which include W Dubai – The Palm, which is set to open imminently on the Palm Jumeirah, and Mandarin Oriental Jumeira, Dubai, which will open its doors near the Four Seasons in Jumeirah.